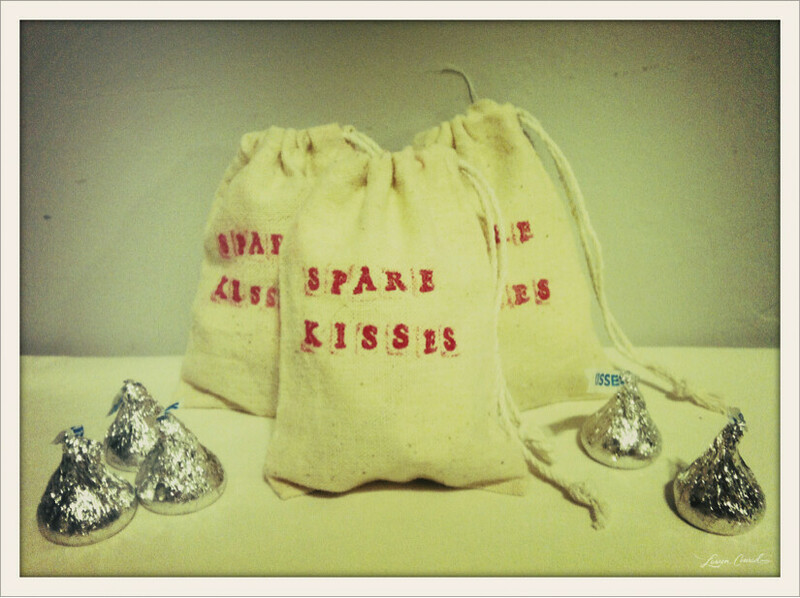 This is my favorite little craft to put together for Valentine’s Day: Spare Kisses! If you don’t have an alphabet stamp set, you can use pretty markers or glitter pens to write the script onto the bag. 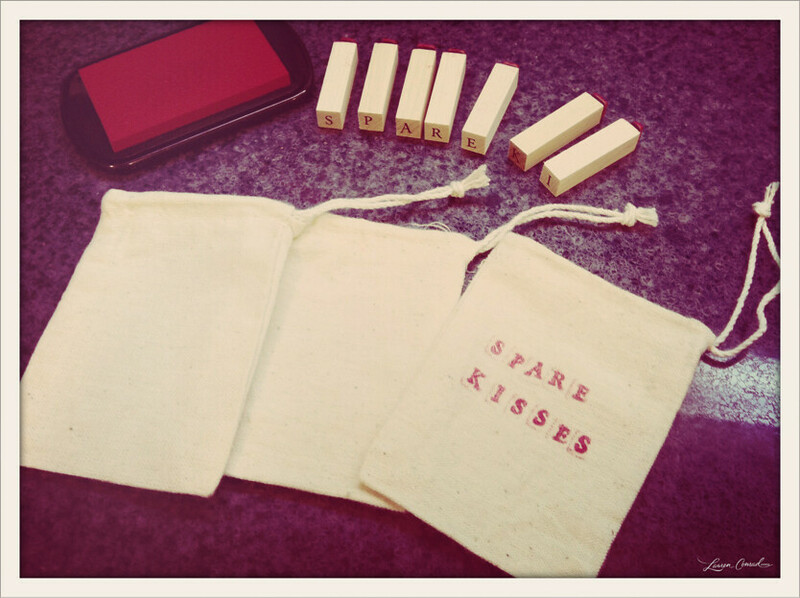 Using the rubber stamp kit and red ink, stamp the phrase “Spare Kisses” directly onto the burlap bags. Fill bags with Hershey’s kisses and enjoy! Are you going to give anyone Spare Kisses? What’s the best Valentine you’ve ever received?